When long-distance love tangles the heartstrings of the play’s title characters, it takes two clever women, a pair of devoted servants, and a dog to make things right. Shakespeare tries out some of his most popular ideas for the first time in this early comedy. Jealous lovers, a cross-dressing heroine, and a daring escape into the forest make The Two Gentlemen of Verona simultaneously a familiar and completely refreshing trip. 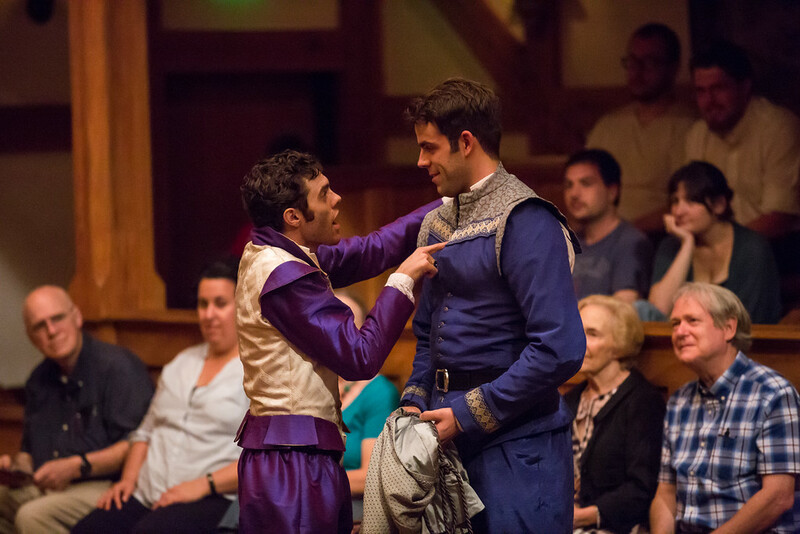 Josh Clark and Ross Neal in THE TWO GENTLEMEN OF VERONA. Photo by TOMMY THOMPSON. 2017. 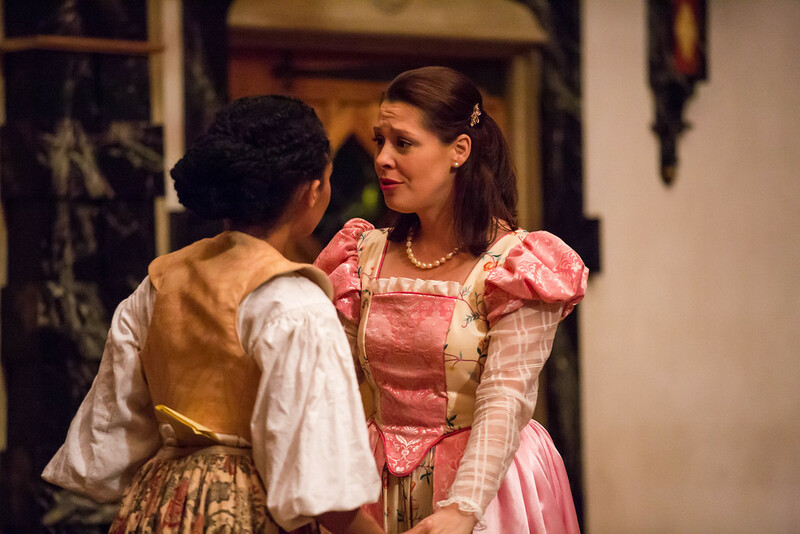 Constance Swain and Sara J. Griffin in THE TWO GENTLEMEN OF VERONA. Photo by TOMMY THOMPSON. 2017. 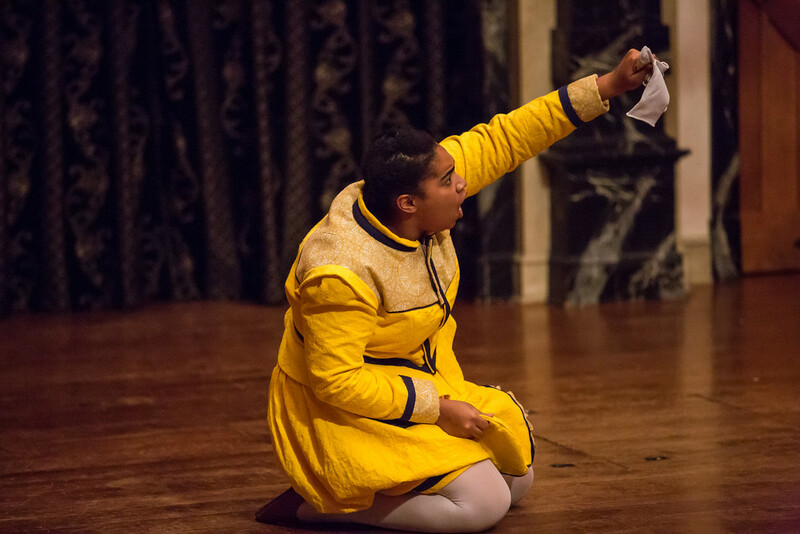 Sara J. Griffin in THE TWO GENTLEMEN OF VERONA. Photo by TOMMY THOMPSON. 2017. 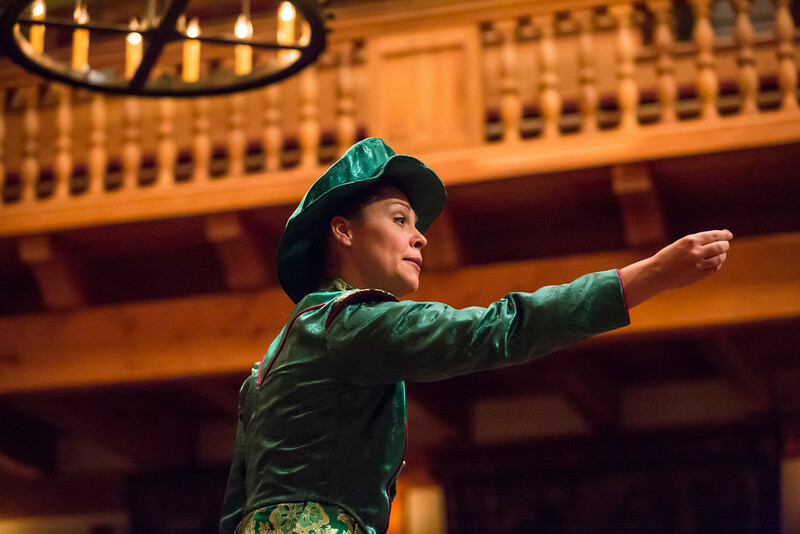 Aleca Piper in THE TWO GENTLEMEN OF VERONA. Photo by TOMMY THOMPSON. 2017. 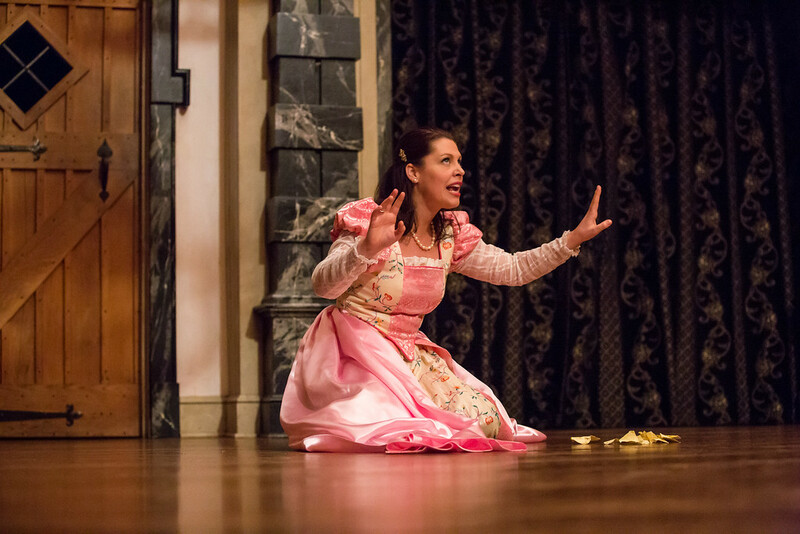 Zoe Speas in THE TWO GENTLEMEN OF VERONA. Photo by TOMMY THOMPSON. 2017. 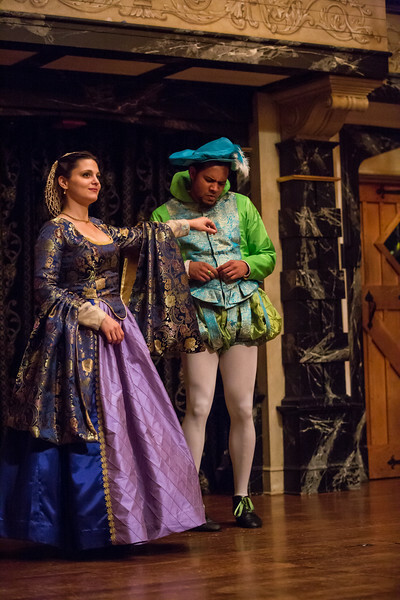 Zoe Speas and Cordell Cole in THE TWO GENTLEMEN OF VERONA. Photo by TOMMY THOMPSON. 2017. 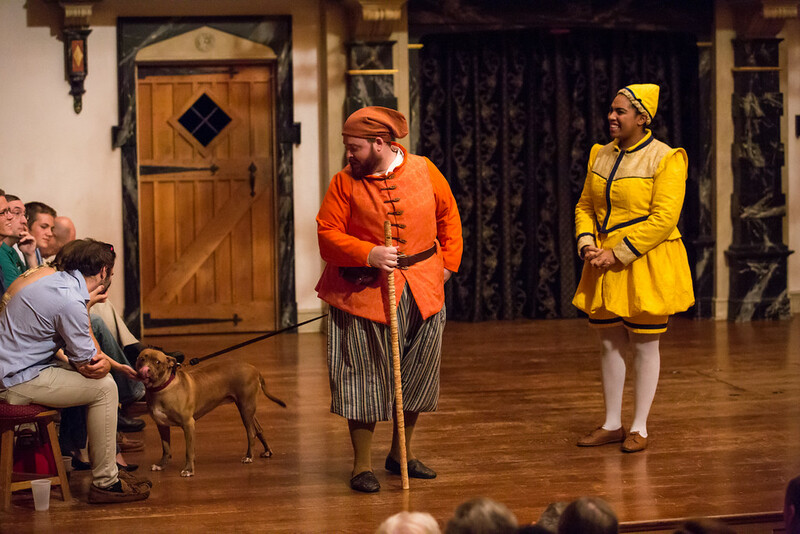 Special Guest Artist, Andrew Goldwasser, and Aleca Piper in THE TWO GENTLEMEN OF VERONA. Photo by TOMMY THOMPSON. 2017. Ronald Román-Meléndez and Zoe Speas in THE TWO GENTLEMEN OF VERONA. Photo by TOMMY THOMPSON. 2017. The cast of THE TWO GENTLEMEN OF VERONA. Photo by TOMMY THOMPSON. 2017. Valentine and Proteus, the two gentlemen of Verona, part company. Valentine departs for Milan leaving his lovesick friend, Proteus, at home to court Julia. Julia pretends to her servant, Lucetta, that she has no interest in Proteus even though she is madly in love with him. Proteus’s father, Antonio, decides that his son needs some worldly experiences and sends Proteus to join Valentine in Milan. 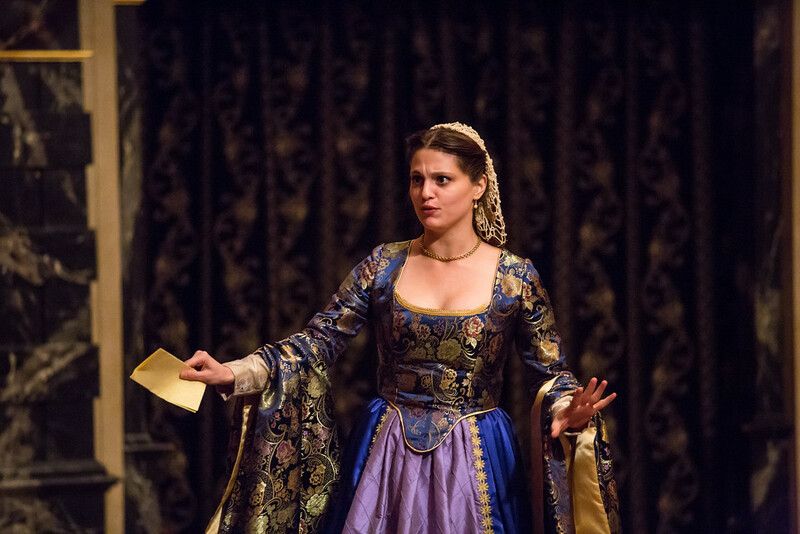 Meanwhile, Valentine has fallen in love with Silvia, the Duke of Milan’s daughter; however, the Duke wants his daughter to marry the rich Sir Thurio. 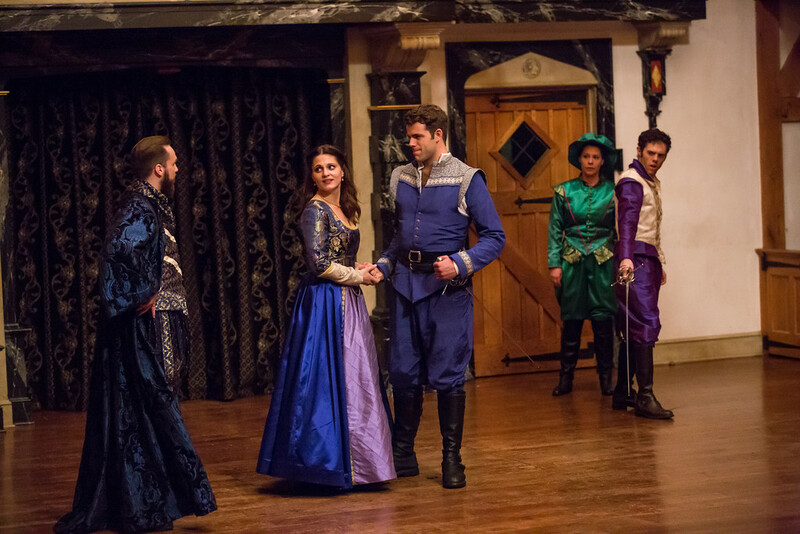 Proteus and Julia exchange rings before Proteus departs for Milan. Proteus’s servant Launce, agonizes over leaving his beloved dog, Crab, behind. Proteus arrives in Milan, where he reunites with his buddy Valentine and meets Silvia. Valentine tells Proteus of his plans to elope with Silvia. Back in Verona, Julia decides to disguise herself as a boy and follow Proteus to Milan. Silvia’s father, the Duke, learns of Valentine’s secret plan to marry his daughter. He banishes Valentine, who flees to the forest with his servant, Speed. Julia arrives in Milan, outlaws capture Valentine in the Forest, and Silvia flees to the Forest to seek Valentine. Hot pursuit, misbehavior, and reconciliation ensue. Do you remember your first “best friend?” Mine was named Caitlin. We met the first day of third grade and were essentially inseparable until she moved away four years later. We wanted to spend every waking moment together. I knew her family as well as I knew my own. Her bedroom was my second home. And there was absolutely nothing I would not have done for her. After she moved, we wrote letters and spoke on the phone regularly for years. It sounds a lot like being in love, doesn’t it? The Two Gentlemen of Verona is a play about friendship. Yes, it is also a love story, but the real love story here is between Proteus and Valentine. And that may be why we have such trouble understanding or accepting it today. Nowadays we expect this kind of intense friendship primarily in little girls (and sometimes little boys). In Shakespeare’s day, however, relationships like this were prevalent in grown men. And I think that is where our confusion with this play lies. Valentine and Proteus are best friends, but not in a buddy-movie kind of way. They love each other – more than they can or will love anyone else, ever – but they are not gay. 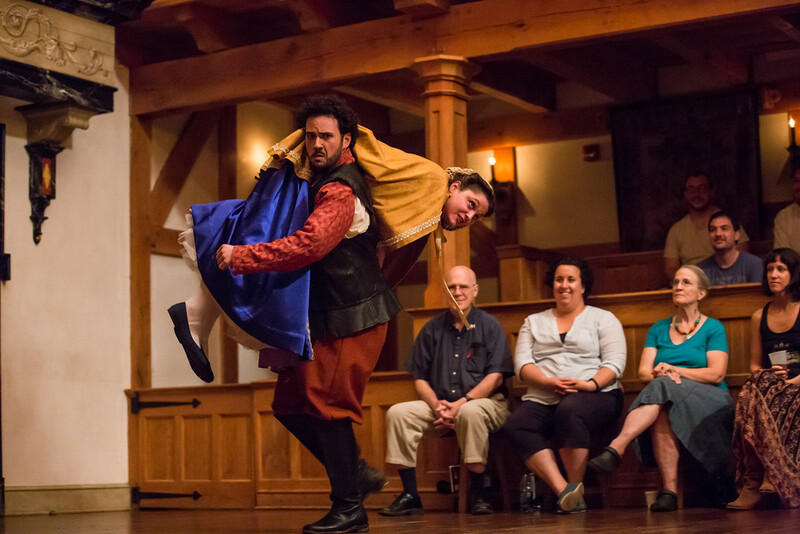 Julia and Sylvia are the objects of their sexual attraction, the play’s “love interests,” but when it comes down to a choice, the protocol of Elizabethan friendship insists that Proteus and Valentine should always choose each other. That is how friendship was supposed to work. Interestingly, in Shakespeare’s play it doesn’t (no spoiler beyond that). In other words, it is not just contemporary audiences who don’t understand the relationships here – even Shakespeare’s original audience would have been befuddled by what they saw onstage. The Two Gentlemen of Verona is confusing, not because Elizabethan relationships were so different from what we experience today, but because love is confusing; friendship is confusing; life is confusing. And when all those elements get tangled together, the confusion (and the comedy) grows exponentially. Most people who know me well know that The Two Gentlemen of Verona is the first Shakespeare play I ever saw. I was seven years old, and yet I understood these characters because they had the same complex feelings as I did. Obviously, I was far too young to have fallen in love. But it was only a few months after I saw the play that I first met Caitlin and found the friendship that would anchor most of my childhood. It was difficult for us to navigate around that anchor. We learned to deal with family rules, bullies at school, long separations for summer camp, and the occasional quarrel. But we did it all together. And that’s what makes our story a love story: not that we attended each other’s weddings, but that we shared everything that led up to them, just like Valentine and Proteus.